This complete HD IP security camera system comes with everything you need for complete installation, including our “PRO SERIES” 4 Camera NVR that’s regarded as one of the best IP recorders in the industry. Record crystal-clear video and monitor it anytime, anywhere through your smartphone, tablet, or computer with absolutely no ongoing fees. 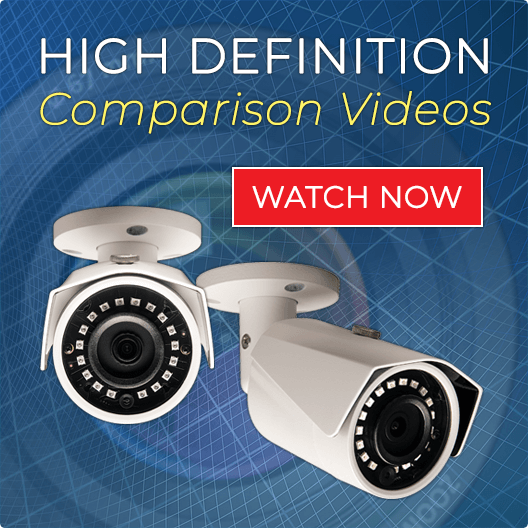 The infrared cameras and recorder empower you to see up to 100 feet in complete darkness. This system is ideal for retail stores, restaurants, office, outdoors, or other property where a commercial-grade system is preferred. Use our “PRO SERIES” 4 camera NVR to set the recording schedule and view live or recorded video from your cameras over the internet. The dome cameras are highly weather-resistant and mountable on walls and ceilings. Built-in power over Ethernet (PoE) capabilities of this infrared camera recorder eliminates the need for a PoE injector, switch, or additional power where the cameras are installed. Fewer cables and components make for easy plug & play installation. 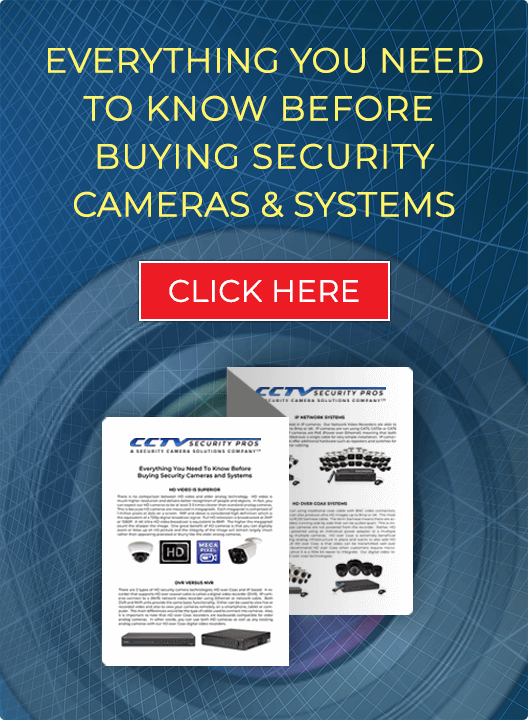 All our security cameras and systems at CCTV Security Pros come with free USA tech support, a two-year warranty and 100% money-back satisfaction guarantee. DIY installation with our help can save you thousands over traditional installation. Order your commercial-grade system with 4 channel camera NVR online, or reach out for help customizing the perfect surveillance system for your property. Contact us online or call us at 888.653.2288. Our PRO Series Network Video Recorder enables you to monitor, record, and view your security cameras over the Internet, Cell, and Smartphones. This NVR offers up to 4K recording on each channel. This NVR has 2 Hard Drive slots for up to 16TB storage capacity. You will appreciate the easy to use interface which enables you to program cameras and features such as motion, 24/7 recording, and easy retrieval by time date and stamp, The "PRO SERIES" POE Network Video Recorder has both VGA and HDMI Video Outputs so you can use various monitors and PC's for easy viewing. View your live cameras ANYTIME, ANYWHERE, and ANYPLACE on your PC's Phones, Tablets, and other Internet Enabled Devices. See and hear what is really going on! This IP Dome Security Camera has delivers 1080p HD Definition in both the day and night. At night it can see capture video up to 150 Feet in Complete Darkness. This camera has a standard 2.8mm super wide angle lens, making it appropriate for most applications. The 4 Megapixel video clarity ensures that you will capture every single detail. The Wide Dynamic Range feature ensures that sunlight and shade factors will not cause a "washed out" effect. This IP security camera has a built in microphone so you can hear and record what is going on. This camera also has an SD card slot. It can used both indoor or outdoor for an all in one 1080p high end, professional surveillance solution. *Free Upgrade to 8ch Recorder!